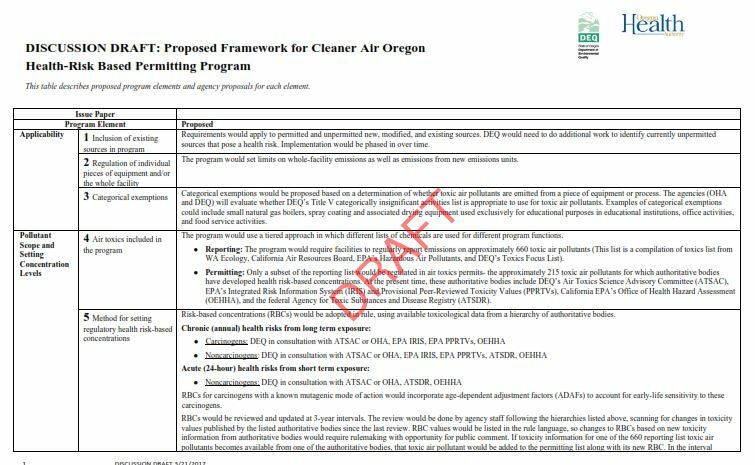 As promised, Oregon DEQ and the Oregon Health Authority have released a draft framework for the new set of air toxics rules they have been developing. Check out this announcement on the Cleaner Air Oregon website. Here’s a copy of the draft framework. The agencies will be meeting with the CAO Advisory Committee Tuesday, April 4th in Springfield to discuss the proposal and take public comments.